Onward Paper Mill Products Nigeria was incorporated in 1972 as the first paper converter to manufacture and market top quality paper products. We provide a wide range of standard and customized stationery solutions to corporate organizations and the commercial stationery market. Our Vision is to become the leading, technology driven paper converter engineering the innovation of superior, highly differentiated, needs-based paper products. Our Mission is to provide avant-garde paper based solutions that strengthen our customer’s brand identity and affirm our commitment to enhancing stake holders overall brand experience. 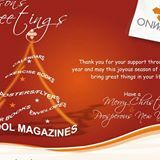 From pioneering paper conversion and manufacture of top quality paper products in Nigeria, Onward paper has become a Leading name in the Paper/print product manufacturing sector. We are known for the introduction of latest technologies and innovations in our field thus enabling our customers keep pace with the fast changing world scenario and are proud to have been in the industry of building sound business relationships since 1972. We are manufacturers and exporters of various paper products ranging from General/Customized paper stationery to print items for PR and marketing communications, light packaging and labels for pharmaceutical industries, transactional documents, money binders for banks, magazines, journals and a lot more. Innovation, unique customized designs and timeless creations are some of the special attributes of our products which come in various designs and colours capable of meeting the diverse desires of our teeming clientele. We ensure that all products are manufactured to client specific requirements following a costumer centric approach that ensures total customer satisfaction. In addition to and further complimenting our manufacturing capabilities, we also provide contract based consultancy services in print/paper inventory and logistics. We help our customers analyze product volumes consumed, create annual projections, customize, produce, warehouse and even deliver products when and where needed. Our in house consultants ensure that clients have a well balanced and consistent print and paper product inventory process, guaranteeing the right stock levels at all times whilst saving you loads of money and the stress of periodic LPO’s. Visit the website of Onward Paper Mill Nigeria for more information. Click here.